Watch Mabel as she is presented with the prestigious 2012 Mil Milenious de Paz Peace Flag, recognizing Mabel as International Peace Ambassador. Morrnah Simeona presented trainings and lectures on Ho’oponopono to the United Nations many years ago, so Mabel was much honored to carry on her torch to this prestigious group, who work to bring peace and security to the World. It became such an encouragement for Mabel to see that our United Nations not only believes that "Peace Begins With Me," but that Ho’oponopono is a very important piece of this Peace puzzle because "Peace within IS world peace." "Peace Begins with Me" is about saying, "I’m sorry for whatever is in me that created this – taking 100% Responsibility – and knowing that whatever I experience is just my program, my memories"... If we embrace the Conscious Peace Philosophy & Flor de Lis Symbol we can inspire others to join us in this global peace movement." 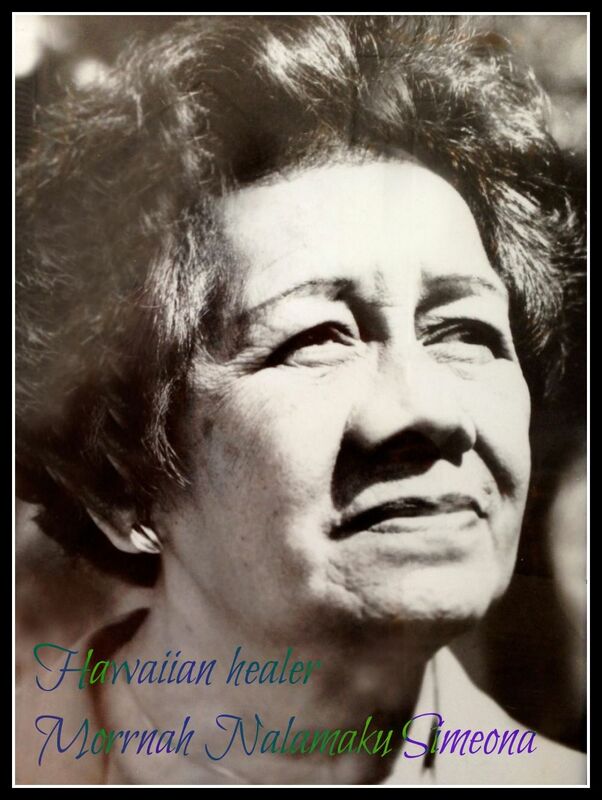 Morrnah Nalamaku Simeona (May 19, 1913 – February 11, 1992) was recognized as a Kahuna lapa'au (healer) in Hawaii. She was honored by the State of Hawaii as a Living Treasure in 1983. Conflicts and wars cannot continue when we break free from the slavery of ours beliefs, opinions and judgments. I believe peace is possible! We need to support each other and lead by example to be able to make this dream come true. Ho'oponopono gives us the clear way to make this happen and the flor-de-lis is a symbolic reminder to let go & let God. As I accept I am not my beliefs, opinions and judgments. As I let go, I allow God (The Universe) to cleanse my beliefs, opinions and judgments, I am letting go of the errors that attract and cause conflicts and wars. As I discover who I really am, I let go of whatever is not me. As I take 100% responsibility to free myself from the conflicts and wars in my mind first, I let go and let God (The Universe). As I realize, I know nothing, only God (The Universe) knows. I become humbled. As I set myself free, I set my World free. In the same way, when we practice acceptance and abstain from trying to impose our point of view, when we accept people, situations, circumstances, and events as they occur, we can be at peace, no matter what is going on around us. We inspire others to believe in the Conscious Peace Philosophy. We set examples by taking responsibility for our thoughts and actions. We support and remind each other "Peace begins with me." We embrace the Conscious Peace Philosophy & Flor de Lis Symbol. Through our own personal transformation, we will transform the World. Let’s Unify and Inspire US first and then the World.